Ella Pauline Dignan was born on June 22, 2012, and spent the following 4 days in NICU. She was born with Dandy Walker Syndrome. 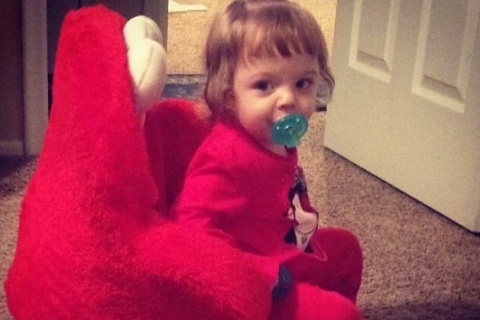 Ella’s parents were told by the doctors that Ella would not crawl, walk or talk. They told them that the moment she was born, she would have to have brain surgery. 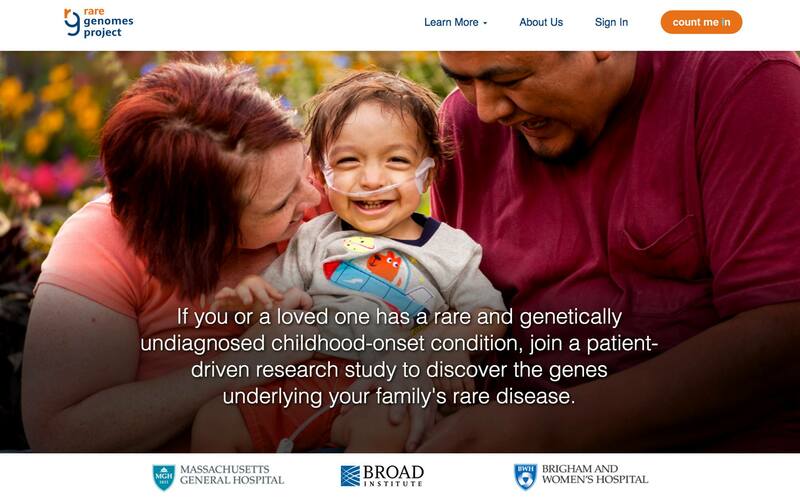 Little did the doctors know, Ella would beat these odds. Ella was living a normal life, until she was 4 months old. At this time, Ella started to scream and cry for very long periods of time. She was crying as if she were in pain. In the middle of November 2012, she screamed for literally hours. It was then that Ella’s parents decided to take her to the hospital because they knew something was seriously wrong. She was rushed to Primary Children’s Emergency Room. 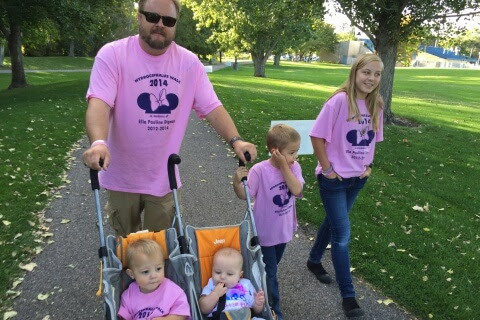 They performed a CT scan and found that the fluid that was on the back of Ella’s brain, had spread to the top of her brain and that she needed emergency surgery. The next day, Ella’s mother Angela had to do one of the hardest things a mother has to do, hand over her baby for surgery. Ella had a VP Shunt placed on the right side of her brain. She did well with the shunt and it helped Ella a lot with her pain. The next month, on December 17th, 2012, Ella was taken into surgery to place a PDA Heart Device in her due to a heart murmur. This was a very serious issue and a serious surgery, and thankfully was taken care of with no complications. The murmur was unrelated to the problems with her brain. 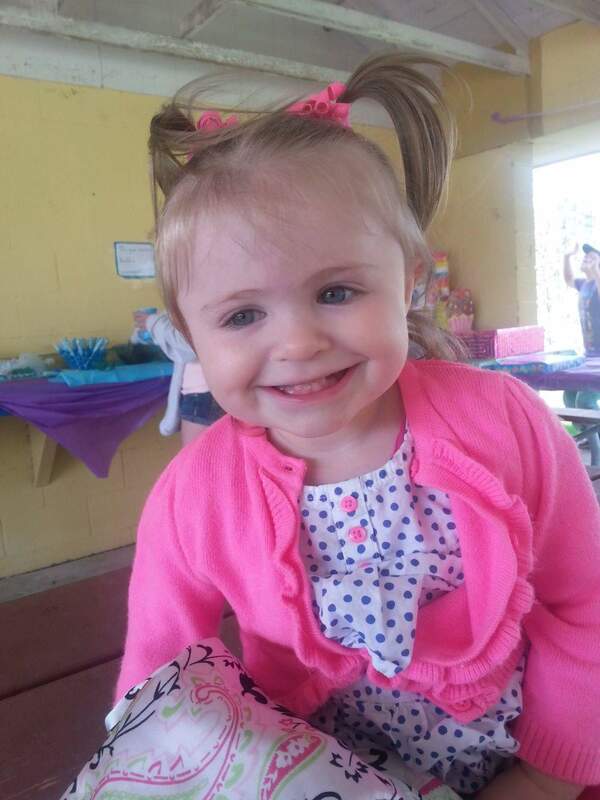 Little Ella had already had 2 tough surgeries before she was 6 months old. Ella was placed into an Early Intervention service provided by the school Kauri Sue Hamilton at 10 weeks old. An occupational therapist worked with her twice a week to work with her on meeting milestones. The condition made it hard for her to learn and be able to do as many physical tasks as other children her age. In September of 2013, Ella started to act lethargic, and then vomit. However, after she would vomit, she would be perfectly fine again, and seem to have nothing wrong with her. From September to January, Ella’s parents took her to Primary Children’s ER seven separate times with the same symptoms. Her mom turned to a group of people who also suffer from Dandy Walker Syndrome that had a group on Facebook for help, asking them if they had ever experienced these symptoms as well. She was advised to read the CT scans that were done at every visit to the ER. From reading the CT scans, she noticed that they all said that she had a slit like ventricles. She researched this and found that it was an over drainage of her shunt. Another surgery… Ella’s parents took her to the neurologist, and the doctor suggested removing the shunt, placing a drain in her brain to try and figure out what pressure the shunt should be at to drain the fluid properly without complications. After they figured out what pressure the shunt needed to be at, they would put in a programmable shunt, meaning that they could change the amount of pressure at any time it needed adjusting. The surgery was done on February 24th, 2013. They removed her shunt and placed a tube in her that went from the top of her brain into a bag, so that the fluid on her brain could still be drained while they calculated what pressure the shunt drainage needed to be at. She had the drain connected to her brain for three days. She couldn’t move freely while she was connected to the drain, and if she wanted to get down and play, the nurses would have to unhook her from the machines that kept track of her vitals. Those three days were some of the toughest, because her parents had to watch their baby not be able to move around. The doctor finally found the pressure that would suit her best, and decided to remove the drain and on February 27th, 2013. Ella was holding on to her mommy so tight as she went down a hall on a hospital bed with her. They arrived to the surgery area, this was the big surgery. They gave her some medicine to put her to sleep. They said she would be in surgery for 1.5 hours. As they waited Ella’s mom cried the whole time, a receptionist came up to her and asked if she could pray for us. She started crying with Angela. Angela was called back to see Ella in recovery. It was the hardest thing she had ever had to face. Seeing her child trying to wake up and having all these places on her head and belly that they had to cut into to put the shunt in. Ella’s parents stayed at the hospital for one more night. The next day Ella was up walking. For the next week after surgery it was like they had a new daughter! She has never talked and she started saying a few words, she had so much energy she danced with her older brother! 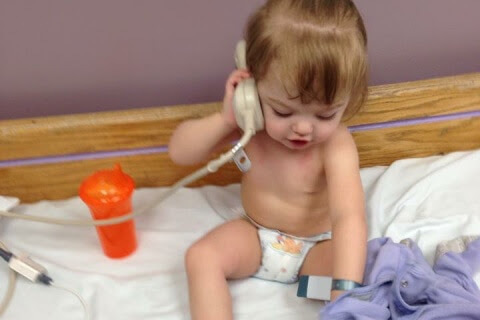 Little Ella has been through a lot of surgeries, ER visits, and multiple doctor visits due to this rare disease. A few months ago Angela had noticed that other Dandy Walker Parents had been sending in letters to get May proclaimed as Dandy Walker Awareness Month. In Utah this had not been recognized. As a parent of a Dandy Walker Child she wanted to get May proclaimed as well in our state. She prepared a letter to Governor Gary Herbert, and mailed it to his office. A few weeks had passed by when she received a letter in the mail from his office. As she opened the letter in anticipation of it being approved, it was denied. 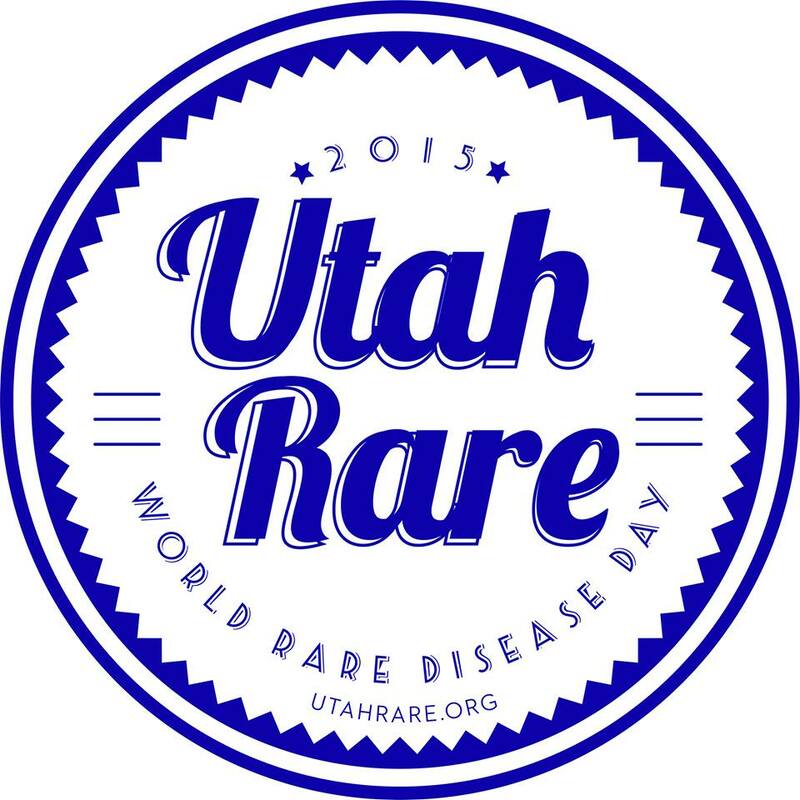 The Capital of Utah decided that Dandy Walker was a part of Rare Disease day. Even though it had been denied she was determined to keep trying every year to get it approved. 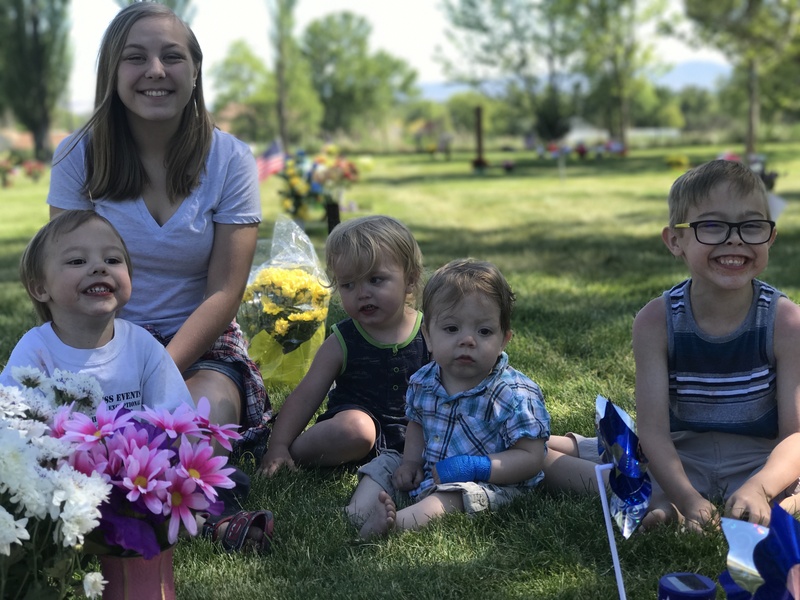 One day she went to get her mail, and noticed a letter from Governor Herbert’s office. As she opened the letter she knew it had to be a letter explaining the denial further. She started reading the letter, the Capital changed their minds and approved Dandy Walker to be noticed in Utah one day out of May. She received a certificate of declaring May 11th 2014 as Dandy Walker Awareness Day. Angela has continued every year to get it approved since Ella’s passing. We are thankful that the state has allowed us to recognize this day as Dandy Walker Awareness Day. 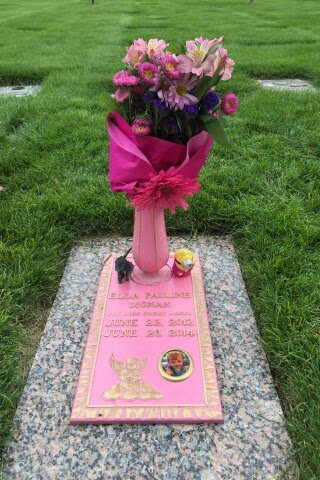 A journey ended too soon… On Saturday June 28th, 2014, in the early morning, Ella earned her angel wings and is now with her Savior Jesus. Ella fought a hard battle her whole life. 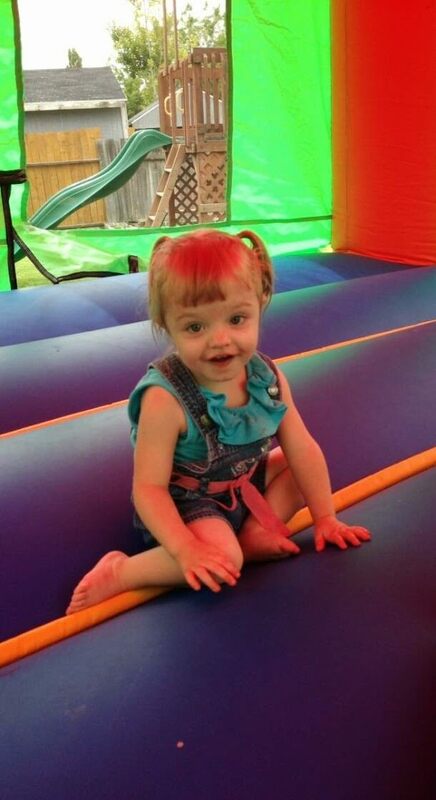 Ella passed away from Dandy Walker Malformation.